My wife and I are very pleased with the work done by JTB enterprises. Joe was very professional and skilled! He understood our vision for our yard and completed in under the quoted time. We have had him back for a second job and have recommended him to family and friends. 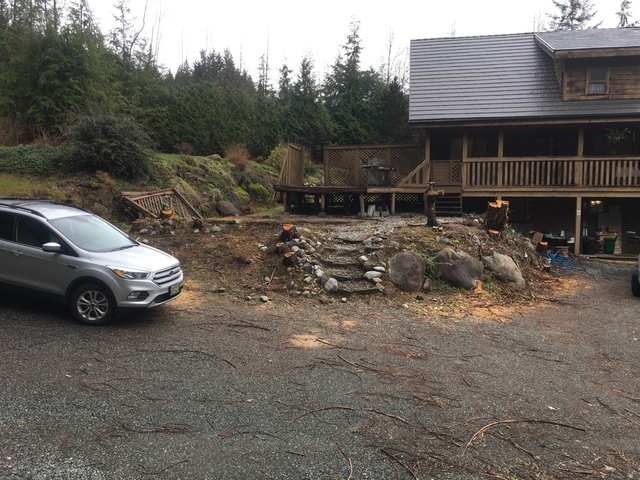 We had an acre of overgrown trees & rocks of all sizes; uneven ground; and old growth stumps. 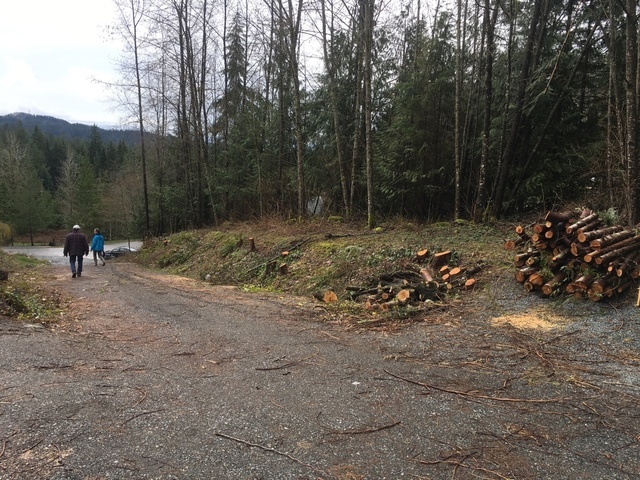 Joe’s talent (and patience), cleared & leveled our land. Not an easy task given the abundance of rocks & old stumps. 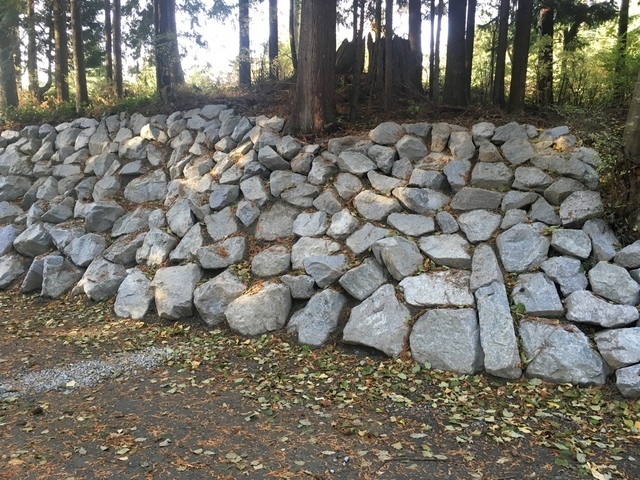 His creativity using existing 1 ton+ rocks to build a majestic rock wall not only enhances the curb appeal of our home but also adds to the tiered levels he created utilizing uneven raw land. Using his bucket, he was able to help us preserve & transplant trees, huckleberries and shrubs. The before & after pics give testimony of the amazing work. 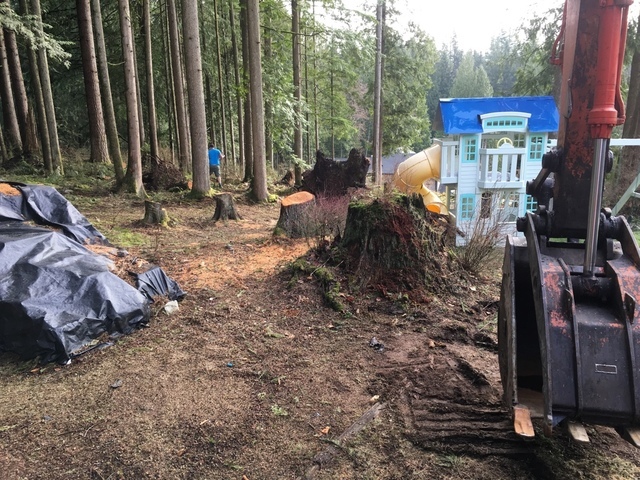 He helped turn a wild piece of property into a beautiful Lamdscape. Truly a home of transformation. Our bank on the side of our driveway was slowly eroding and washing away and in danger of trees falling over. 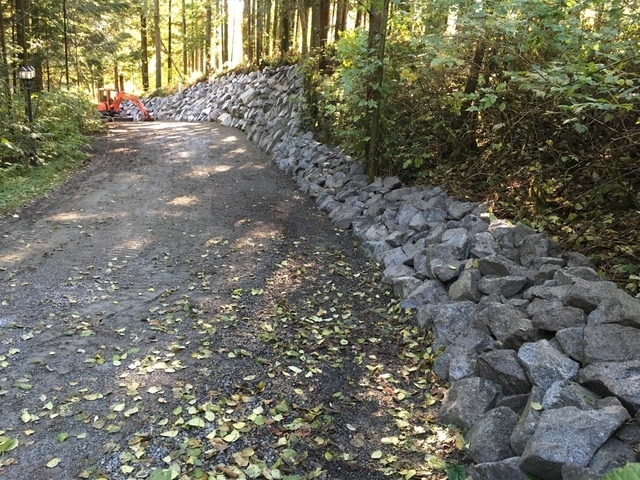 Joe was able to dig back into the bank and create a beautiful rock boulder wall for us without damaging any trees. 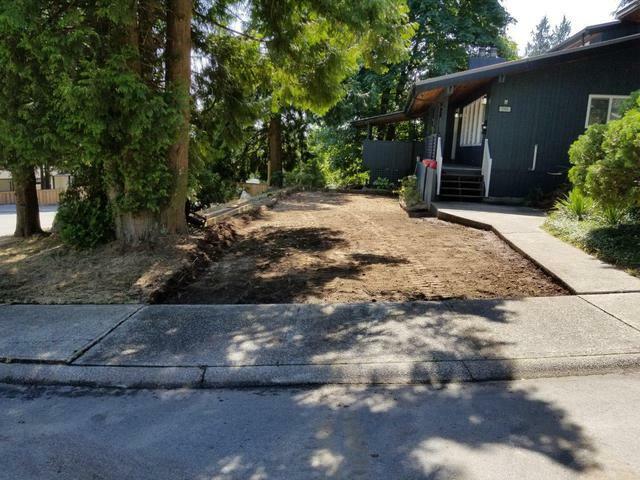 No root damage and we gained some much needed extra width on our driveway. 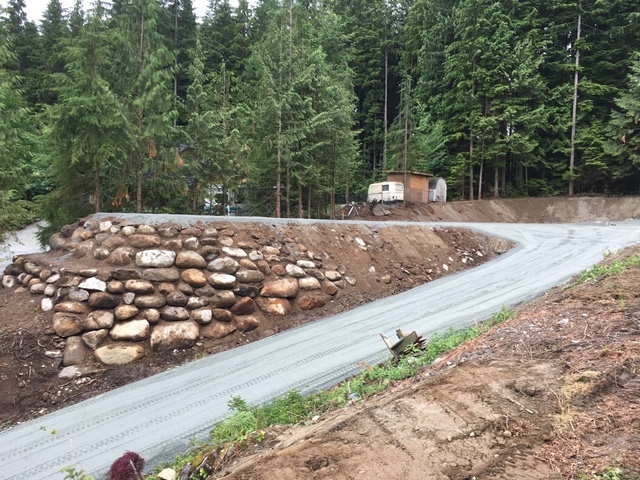 Joe was very time sensitive to our project and also aware of our need to be able to access the driveway through the project. Joe Buckles of JTB Enterprises is honest, hard working and methodical. As a contractor, I find it exceptionally difficult to find other contractors to do work for me. 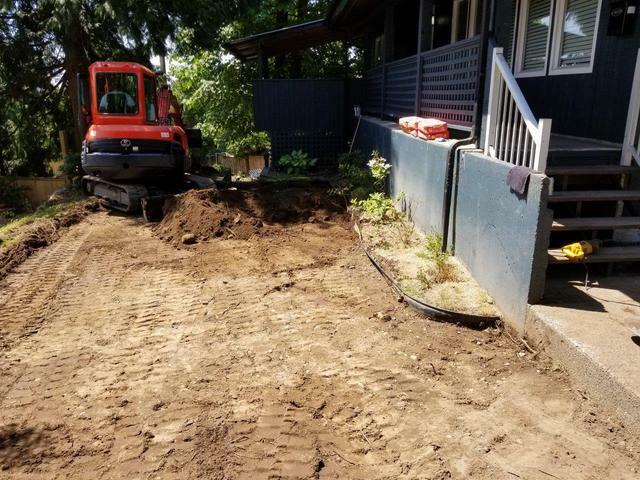 I attempted to contact more than 100 excavation contractors throughout the lower mainland. I received responses from 4. Most were trying to push cost added services, it was frustrating. When Joe contacted me back, he gave me an exact price, which he stuck to. When he arrived on site at our home, he was on time, friendly and listened to all of my concerns. 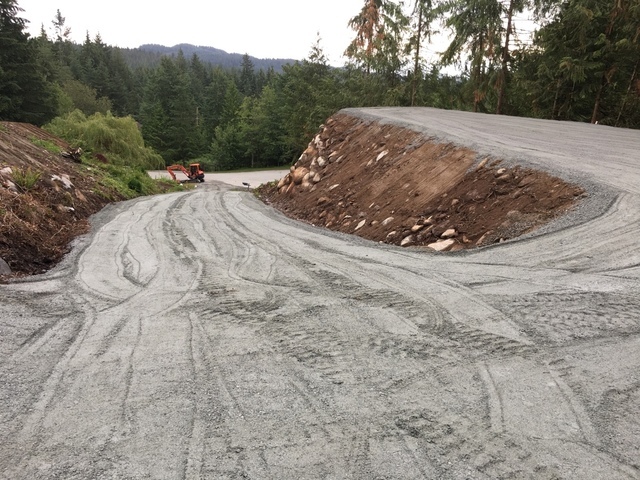 Joe safely, methodically and in great time completed the excavation work and moved the soil to a different area of our yard, and the project was completed exactly as I had envisioned. The price was in our budget. 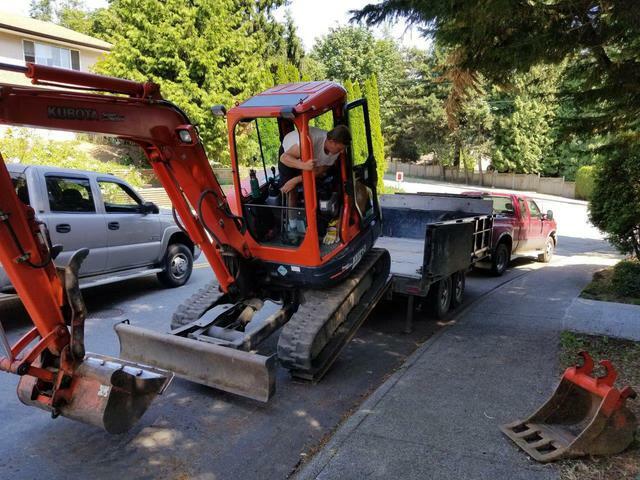 I would not hesitate to recommend Joe to anyone needing excavation or landscaping and or trucking services. Thank you so much for the great review Ken. Was a pleasure working with you. Looking forward to working with you in the future. 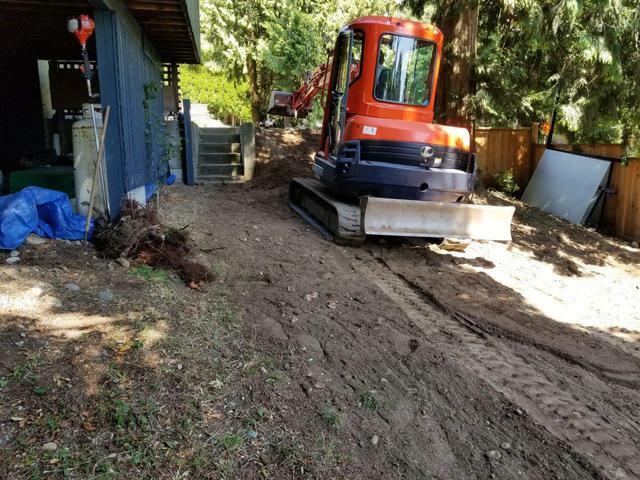 Jtb Enterprises Excavation and Landscaping been a company for over 13 years, servicing Maple Ridge, Pitt Meadows, Mission, White Rock, Langley, and Abbotsford. 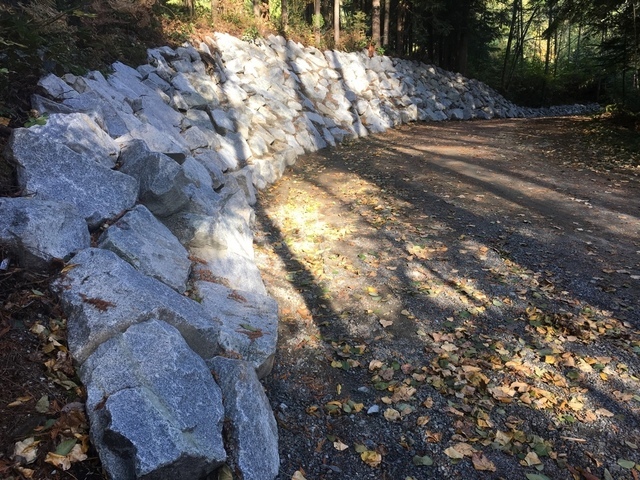 Specializing in Drainage (new home drainage, repair drainage, remediation/ rock wall constrction, site prep for building, land clearing, landscaping (scraping/shaping, grating), demolition of buildings and houses. Contact us for free estimates !